Découvrez les attractions de Santorin lors d'une visite guidée privée avec un chauffeur-guide professionnel qui vous présente les délices naturels, culturels et culinaires de l’île. Vous pourrez visiter des lieux tels que les villages à flanc de colline et les plages volcaniques, ou personnaliser votre itinéraire pour découvrir les lieux qui vous intéressent. Tous les repas, boissons, activités et frais d'entrée sont à votre charge. Theodore did a great job showing us the highlights of beautiful Santorini. He was friendly, very accommodating and gave us a great overview of the island! We highly r3commend this tour! My husband and I recently went on a Mediterranean cruise, and Santorini was one of the places I was most excited about. We decided to get a private driver/guide for the day am I so happy we did! Marcos met us in Fira and away we went! We literally covered one tip of the island to the other, as well as the highest and lowest points, and everything in-between! Marcos was knowledgeable about the island and had some fun stories to tell along the way. He also offered to take pictures of us, and recommended an amazing bakery and restaurant as well! I highly recommend choosing this excursion and Marcos if you only have 1 day on this beautiful island, you wont regret it! Great tour with Theodore. He was knowledgeable, friendly and very nice. We got to see all of Santorini with Theodore and it was a great day with lots of amazing pictures that he helped us take. He gave us lots of good info and showed us places that we would never have found on our own. Finally, he brought us to a restaurant for lunch which was absolutely the best meal we had in Santorini. This was probably the best tour I've ever been on through Viator! Theodore was our tour guide and within a day, we felt like he was part of the family! He was so personable, nice, and patient with us. He took the time explaining every single place we went to and also became my mom's personal photographer! He was extremely flexible with what we wanted to do or see. I've honestly never had a tour guide like him. If this is your first visit to Santorini, you MUST book your tour with this company and make sure you request Theodore as your tour guide! We miss you Theodore! Hit us up if you ever come to Texas!!! We were ever so lucky and got such a great guide, the famous Theodore. He was punctual and so friendly. We moved at our leisure and pace. I don't think we missed any sight in Santorini. We had the exact 7 hours and from the very beginning to the very end it was absolutely perfect. We saw all the famous sights, and ended the day with the most perfect sunset. Five star service all the way, thanks Theodore, we hope to visit again soon! Excellent tour. Very informative and listens to what your requirements are. Would definitely recommend. Excellent trip ... Wonderful Experience. And Theodore from Kallisti Private Tours made it possible for us. This was worth every penny and then some! I cannot say enough good things about our guide Theodore. He spent an additional hour with us, he was an excellent photographer, and knew all the interesting facts about Santorini. 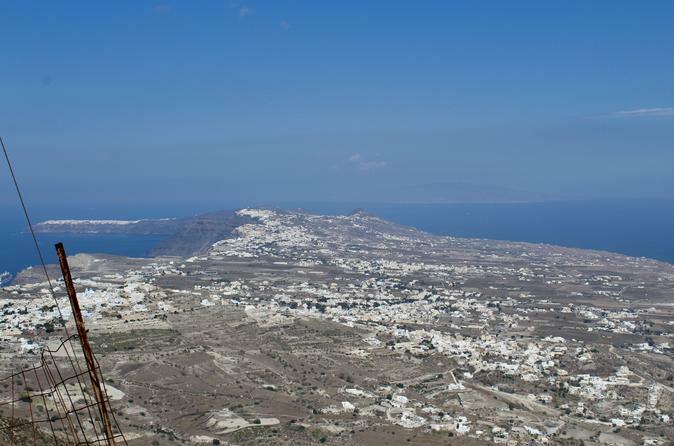 Having a guide who has lived in Santorini his whole life is the best way to see the island. He knew every path and road of the island. He is a good driver and our tour vehicle was clean and comfortable. 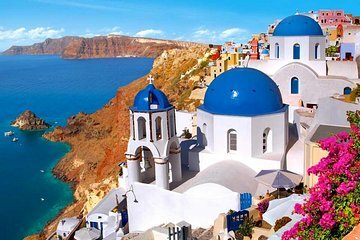 Santorini is a gem that should not bee missed. The guide was willing to work with us and we got to see everything on our list. We had a great tour on Santorini. Our guide was knowledgeable and an excellant driver. He took us all over the island and to a wonderful restaurant on the beach for lunch. Two of our group have mobility issues and he worked the tour around their needs. I would definitely use them again.